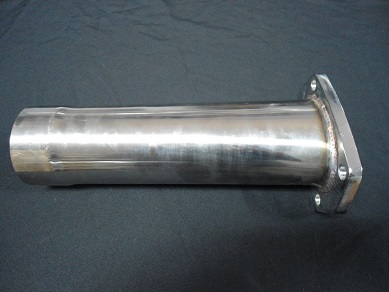 We are now selling 3.5" downpipes! 304 Stainless steel. There are THREE different versions available. Clears stock and aftermarket headers, minor trimming of inner fenderwell MAY be needed. All three will fit with AC in place. Please NOTE! Lowered vehicles MAY have some interference issues with upper control arm. Tubular upper control arms will help with those issues. 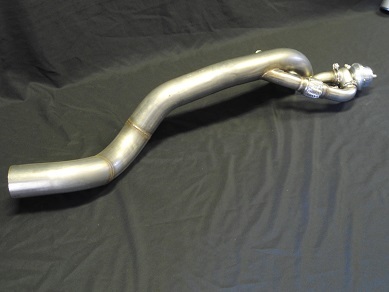 3.5" without ANY wastegate provisions, basically a pipe with a flat plate to bolt on to the turbo, This is for installations that have the wastegate welded somewhere on the headers or crossover pipe OR if you want to fab up your own wastegate setup. 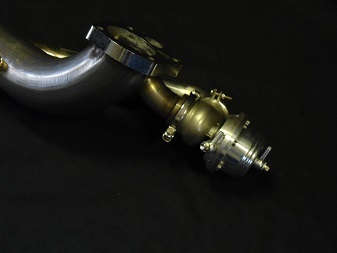 3.5" with 46mm EXTERNAL wastegate with V-Band connection for wastegate. NOTE! We now have dump pipes to fit the 3.5" downpipes. Available separately below. 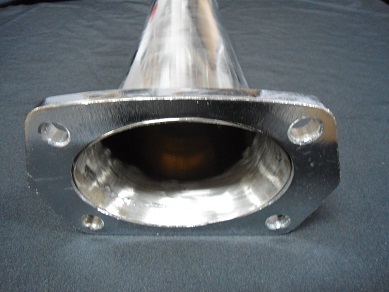 There are no plans for just a test pipe. Dump pipe is available below! Dump Pipes are available below! Running a turbo that requires a V-Band connection? 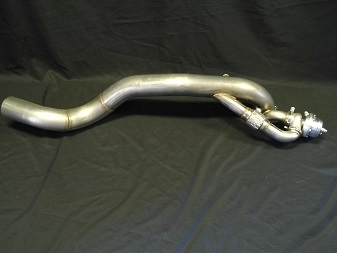 We have a 3.5" downpipe that will work for you! 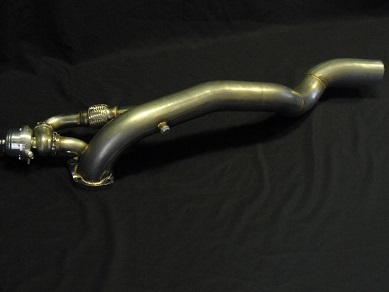 No wastegate provision on this pipe either. 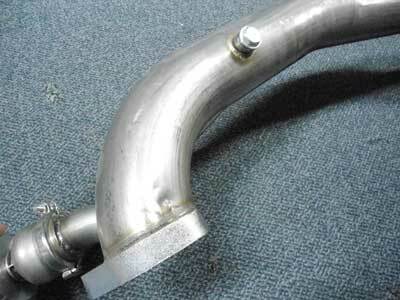 There is an 02 sensor bung installed in the EXTERNAL WASTEGATE downpipe as shown in pic below. 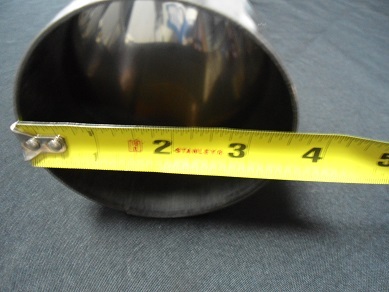 Need a dump OR test pipe for your 3.5" downpipe? Approximately 13" long. Now in stock, just add the option in the order box below. 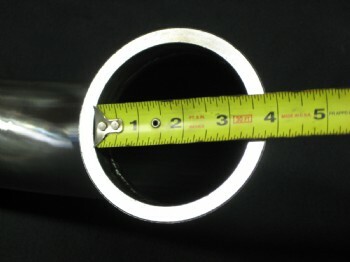 Note, these have a 3" flange for the dump part of the pipe.